The days are getting colder, winter festivities are fast approaching, everybody is buying Christmas presents and preparing for this most wonderful time of the year. However, the long-winded hours spent cooped up indoors studying and working on assignments can, unfortunately, make it all far too easy to forget to enjoy the Christmas spirit to the fullest – bah humbug. Nonetheless, wherever you are in Europe, know that there is plenty to see and do around this gloriously festive time of year. Read on to discover how you could be spending Christmas in this year’s top five student cities in Europe, as ranked in the QS Best Student Cities 2018. Ranked eighth in the QS Best Student Cities ranking, Zurich in Switzerland is undoubtedly one of the most enigmatically beautiful cities in the world. Of course, since it’s a Swiss city, it goes without saying that Christmas spent here would be an absolute joy, with freezing winter temperatures dropping way under zero Celsius, and possibly the most festive snowy weather you’ve ever dreamt of. Of course, taking long strolls in the snow around the city center and admiring the very attractive medieval buildings will probably be a more-than-satisfying way to spend Christmas day. 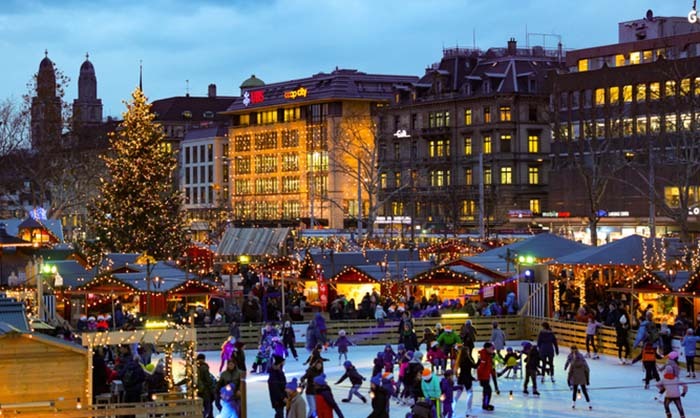 But if you’re looking to do something that’s a little more traditional to Swiss culture (and if you’re looking to spend some cash), there are plenty of Christmas markets you’ll be sure to enjoy, while you should also visit a cozy fondue restaurant for some divine, traditional Swiss cheese fondue. The city also hosts several exhilarating concerts, circus performances and magical Christmas events, such as the Lichterschwimmen candle-floating event, and the Illuminarium, which sees the inner court of the already-spectacular National Museum transform into a winter wonderland bursting with colorful lights and enchanting illusions of mythical creatures, as well as music, delicious food stands, restaurants, and a cocktail bar. The German capital of Berlin is the seventh best student city this year, and as Germany’s largest city, it boasts some of Europe’s most striking tourist attractions, as well as things to see and do. Around Christmas time in particular, the city offers a fantastic plethora of festive activities, including both indoor and outdoor Christmas markets (such as the colorful Spandau’s Christmas market in the Old Town of Spandau), a winter art exhibition run by the Alte Münze, and beautiful Botanical Gardens, where you can enjoy a magical night-time stroll, admire fancy Christmas lights and decorations, and have some winter fun at the ice-skating rink. 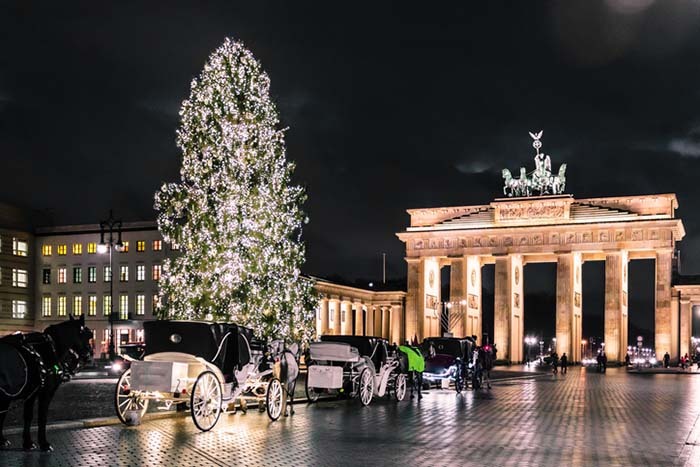 Plenty of other things to see and enjoy here around Christmas time include the Unter den Linden (where you can take a romantic walk underneath the Christmas-lit trees), and the Alexanderplatz funfair for thrilling rides, lots of guilty-pleasure funfair foods, and – if you’re anything like me – a spooky haunted house. Nice. The German capital of Munich is the most populous city of the second most populous German federal state of Bavaria, and is home to centuries-old buildings and several museums. With its traditional Christmas markets alone, Munich is undeniably one of the best places to spend Christmas, with the largest and oldest Christmas market located in the city’s Marienplatz. Nearby, you’ll also find the Christmas Village, situated in the courtyard of the Munich Residenz, where you’ll taste some of the most delicious culinary delights while watching a singing moose – yes, a singing moose. If you’re a bit of a time-traveler, you’ll be very excited to discover the Middle Ages Christmas Market in Wittelsbacherplatz, where you’ll feel like a 13th century peasant walking around a medieval town market on Christmas, literally. 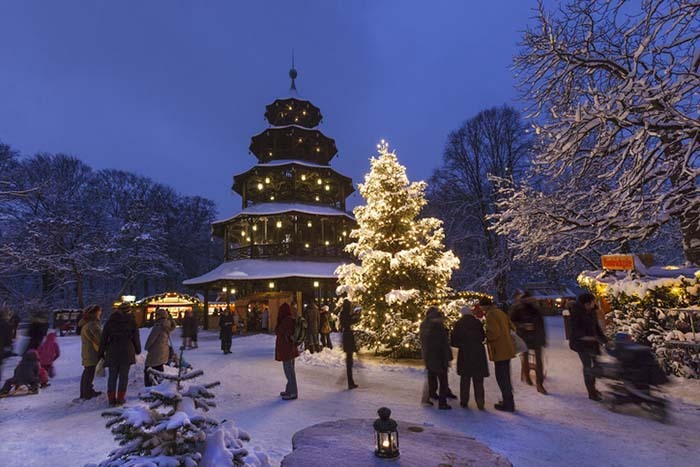 For a more romantic Christmas market, be sure to explore the Chinese Tower Christmas Market in the English Garden, or maybe the Schwabing Christmas Market for unique handicrafts. Also, don’t forget to head over to the Tollwood Winter Festival for its glittering Christmas market, a vast range of food from around the globe, more handicrafts, concerts and performances – I mean, what more could anyone ask Santa for on Christmas? 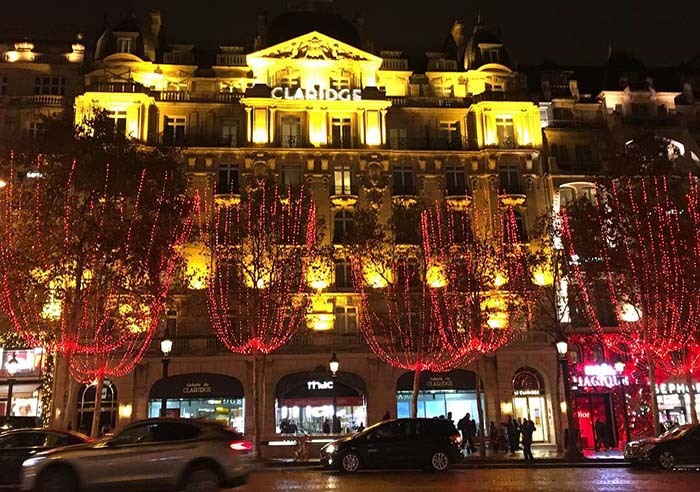 Aaah, Paris – the romantic City of Lights, or, as the French like to say, las Villes des Lumières. This name is especially true around Christmas time, when every corner is glowing with alluring Christmas lights. Paris previously enjoyed the privilege of being the world’s top student city for four consecutive years in the QS Best Student Cities ranking – and for very good reason. Now ranked fifth, the city is renowned for its student-friendly reputation and multicultural atmosphere. From spectacular dinners consisting of the finest French cuisine at the Eiffel Tower, to romantic cruises along the Seine River, and a spectacular day trip to the Loire Valley to explore magnificent Renaissance castles – the list of things to do here is pretty endless, and you can expect to be a little lost for choice if you decide to visit around Christmastime. Paris’s main Christmas market is normally found on Champs-Élysées, the same street as Arc de Triomphe, but this year it’s moved to the Jardin des Tuileries (Tuileries Gardens), a few minutes’ walk from the Louvre. There are 100 chalets offering mostly French-produced food, wine and gifts, plus fairground rides and an ice rink. London is currently ranked as the top best student city this year and is a well-loved travel destination for tourists around the globe, famed for its many historical intrigues and sites. As the UK capital, there is no shortness of things to see and do, and if you happen to be a student here – Christmas can’t get any merrier. Aside from the dazzling Christmas lights along Oxford Street, you can expect to fill up your Christmas to-do list with a wide range of fantastically festive activities and events to attend. As is the case in most European countries, traditional Christmas markets are scattered pretty much everywhere during this time of year. 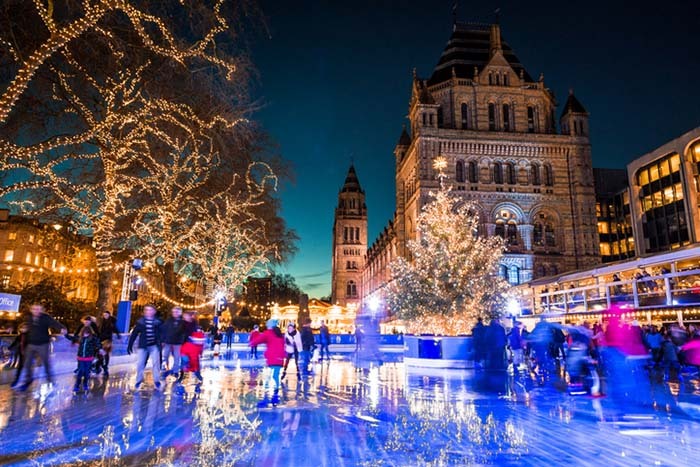 There are also several magical ice-skating rinks you can enjoy, plus an array of festive theatrical performances and pantomimes, museums and attractions, utopian Christmas winter rooftop pop-ups, Christmas carol concerts, pop-up cinemas, zoos, an endless selection of food and drink, and more!